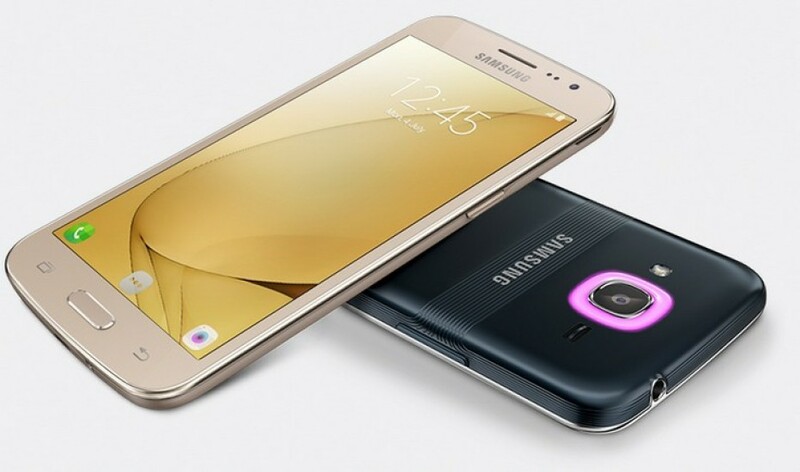 Samsung has presented an updated version of its Galaxy J2 smarphone. The year 2016 version of the device has become the first Samsung communicator to come with a technology called Smart Glow. It adds a LED-backlit circle around the Home button of the device and around the rear camera. Based on pre-defined color codes, Smart Glow can inform you of priority and usage alerts and assist you with selfies. The new J2 smartphone is a budget-oriented handset. The smartphone measures 142.4 x 71.1 x 8 mm and comes with a 5-inch Super AMOLED display that works at 1280 x 720 pixels. The smartphone has an unknown quad-core processor at 1.5 GHz, 1.5 GB of RAM and 8 GB of internal memory that can be expanded via a microSD memory card. At the back the smartphone has an 8 MP camera, while up front you will enjoy the services of a 5 MP shooter. In addition to all this the new J2 comes with a technology called S Bike Mode, which makes the smartphone silent while its owner is riding a bicycle and the so-called Turbo Speed Technology (TST), which is still a mystery. In India the Galaxy J2 sells for around USD 145. The device runs Android 6.0 Marshmallow.